According to reports, Father Paolo went missing while on a mission to Raqqa, a liberated area in eastern Syria. 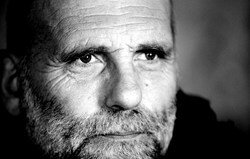 SEO expresses its concern over the disappearance of Father Paolo Dall’Oglio, a well-loved and respected Italian Jesuit priest who dedicated his life to the spread of religious tolerance, coexistence, and dialogue in Syria. According to reports, Father Paolo went missing while on a mission to Raqqa, a liberated area in eastern Syria, to mediate and secure the release of an Orient TV crew that had been kidnapped in Aleppo. It is unclear at this stage whether Father Paolo was in fact kidnapped, and by whom. He has not been heard from since the evening of July 28, after a video was posted of him delivering a well-received speech in front of an Armenian Church in Raqqa. The founder of an ecumenical and monastic community in Deir Mar-Musa in 1992, Father Paolo was expelled from Syria last year by the Assad regime for speaking out for change, democracy, and human rights. He has managed to slip into Syria numerous times after his expulsion to continue his peace-building missions. “Father Paolo is a man of peace who believed in a free Syria ” said SEO Board Member Mohammad Al-Bardan. “It is not in any party’s interest to hinder or endanger the important work of Father Paolo, who was deeply committed to promulgating a pluralistic Syria, and maintaining the legacy of Syrian religious coexistence and tolerance. We condemn any group that would target these ideals,” said Bardan. SEO calls upon anyone with information regarding the whereabouts of Father Paolo Dall’Oglio to come forward, in addition to demanding that all steps be taken to help ensure his safety.